Raksha Bandhan is special for every Brother and Sister. For this occasion, a Sister goes from one end to the other to look for that perfect Rakhi that she believes will surely make her Brother smile. 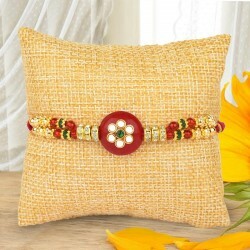 At MyFlowerTree, we have the most beautiful Kundan Rakhis that are bound to make you his favourite Sister. 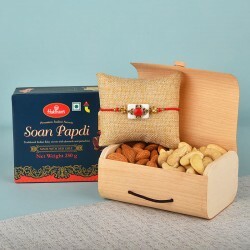 Raksha Bandhan, popularly known as Rakhi, is a festival that celebrates the spirit of the beautiful relationship of a Brother and a Sister, their special bond of love and an eternal promise of a brother to protect her sister in all circumstances. This festival is celebrated with utmost joy throughout the country and beyond. On this day, the Sister ties a Rakhi on the wrist of the Brother and in exchange of that Rakhi, a Brother promises to protect her Sister from everything that might harm her. 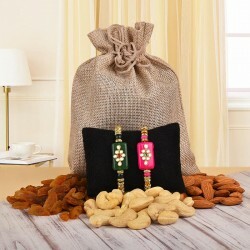 This Raksha Bandhan, gift your brother a fascinating Kundan rakhi and make him cherish the sweet moments spent together. 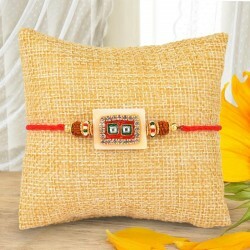 Every Sister wishes to find the perfect rakhi to celebrate this festival. For this she goes from store to store to look for that perfect rakhi. 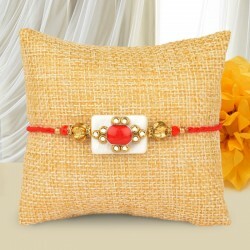 At MyFlowerTree, this will be taken care of with our Special Kundan Rakhi. Kundan has always been an important part of the Indian Culture. It is used in Bridal and Temple jewellery. It is considered to be a pure substance. This is why we brought to you this special collection of Kundan Rakhis that can be delivered anywhere in India. 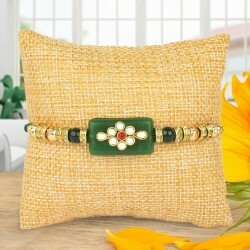 These Kundan Rakhis are wonderful to look at and precious to hold. Your Brother would be more than happy to wear these Kundan Rakhis for many days. When you go out to shop for a Single Rakhi you know how difficult it can be. 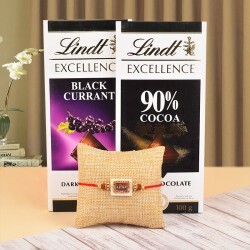 Most of the vendors sell Rakhis entire boxes of Rakhis. This makes it very difficult for the Sisters who are on the lookout for a Single Rakhi but with MyFlowerTree, you will not have this problem. 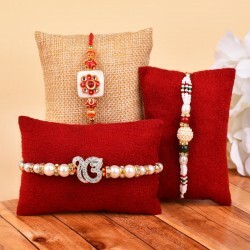 We have an amazing collection of Single Rakhis for the sisters who want to celebrate this special day with their only brother. To have a Brother is a wonderful feeling but to have two Brothers is a great joy. It doubles up the fun and frolic quotient! As the Sister of the two Brothers, you are sure to receive the double amount of love on this Raksha Bandhan. 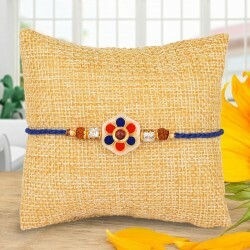 With these Rakhi Set of 2, 3, 4, 5 you can make them feel special on this Raksha Bandhan. Explore the various options available with us and surprise your brother with something he'll love. Pick a single Kundan rakhi or pair it along with Dry fruits, Chocolates, Sweets or a Rakhi gift hamper containing all of this and more! 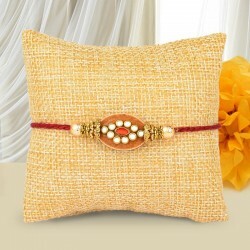 Make this Raksha Bandhan special with these special Kundan Rakhis. With motifs of Ganesha, Peacock, Ganesha and Flowers, these are sure to make your Brother happy. 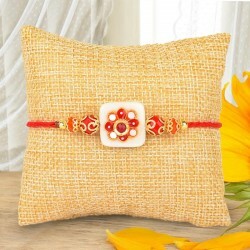 With MyFlowerTree, you don't have to go anywhere to find a perfect Rakhi. You can order one online at the comfort of your home. 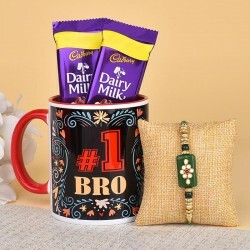 Along with a Rakhi, you can order a Raksha Bandhan special Gift for your Brother. 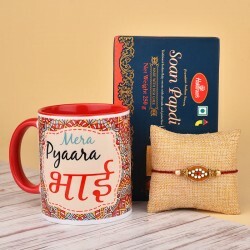 Make this Raksha Bandhan the best for your Brother with Kundan rakhi online shopping.